It is a really good feeling to be in the second year of the Maker Studio. The students who were with us the previous year already know their choices and the materials that are available. They are ready to take things to the next level. Of course, the classroom teachers and I need to go through the basic rules and etiquette but even incoming first graders are so excited to be there, they will follow all expected behavior norms for almost all the time. The time flies by so quickly when we are there with them that it is less than ten minutes to the close of the day when we realize we must have them pack up. The teachers and I will be planning longer term projects and skills for the students. 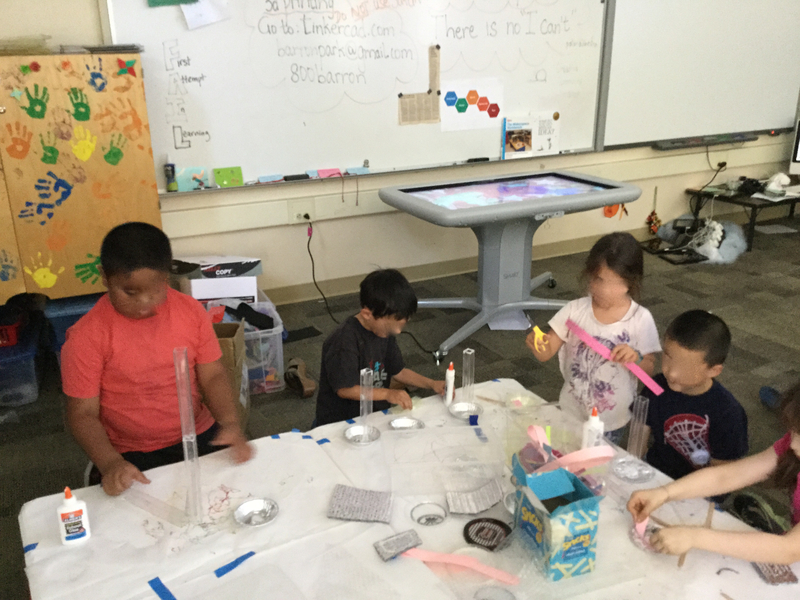 In the meantime, we do have to let them get their playtime out, explore a few age-appropriate options and want to come back soon while learning and creating. This week has been exceptionally hot. Last week we decided on four stations but knew that we had time for just one. 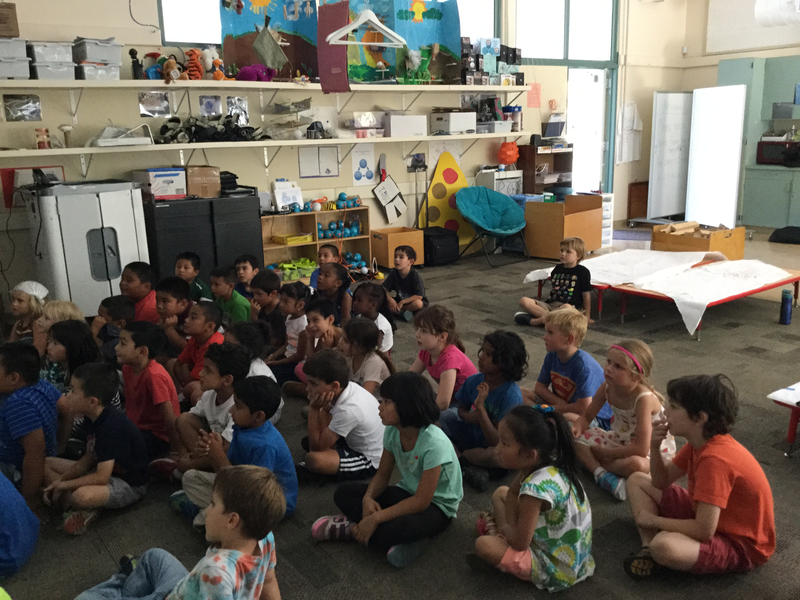 We kicked it off by watching Audri’s Monster Trap, the Rube Goldberg project video to emphasize the point of perseverance and resilience. No using the words “I can’t”, followed by assigning each group to a station. This time we kicked off the stations by showing the students the Star Wars BB-8 launch video. That Sphero video is better than magic. Every student sits mersmerized through the duration, starstruck (the same thing happened with every age group that saw the trailer). 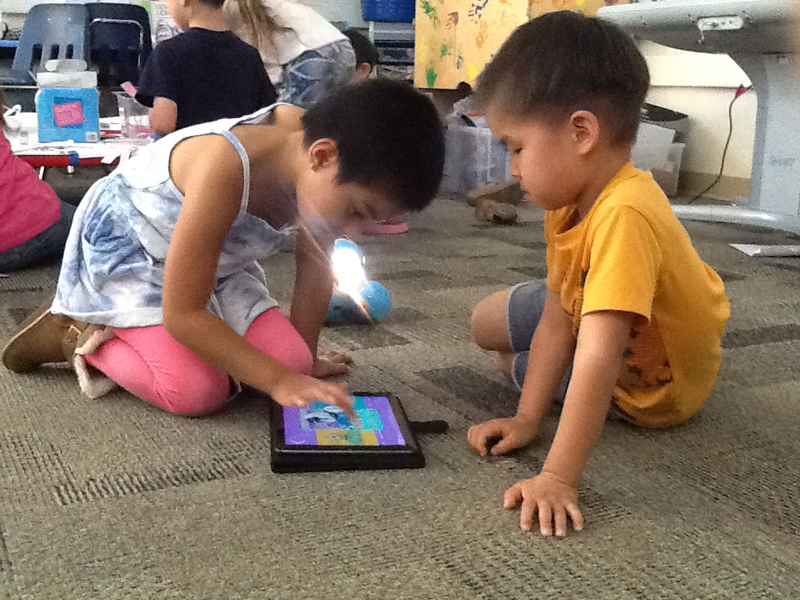 Other than the new students, the existing students have used Scratch Jr. in kindergarten. 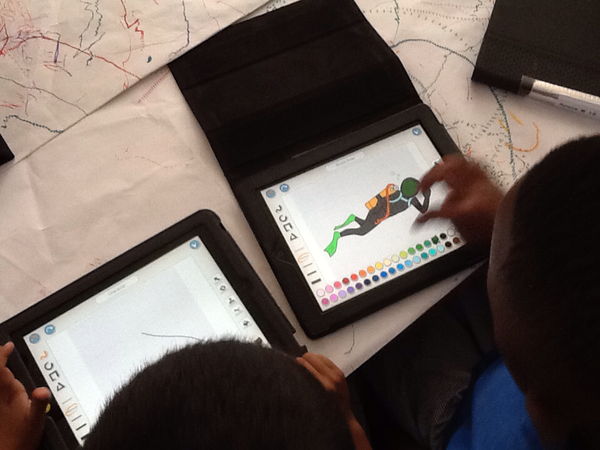 They love exploring the characters, painting their own and setting backgrounds. This is still exploration time. 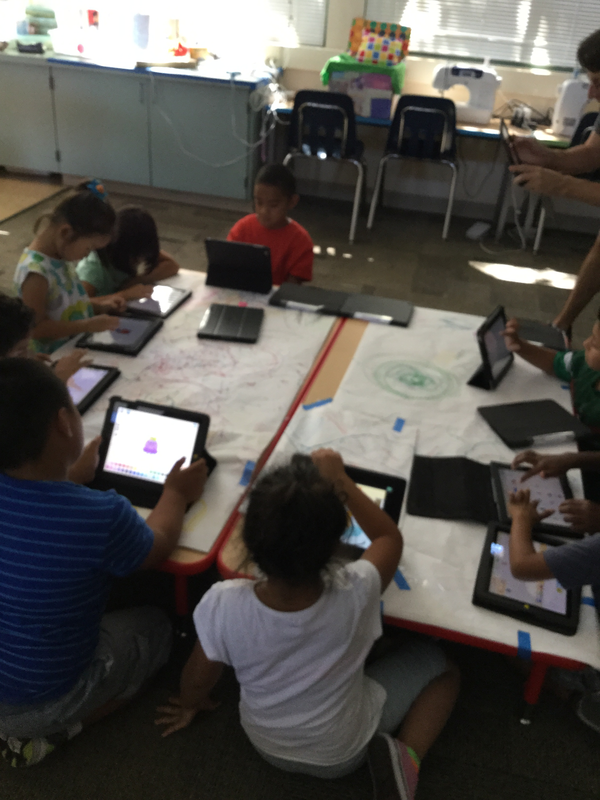 With Scratch Jr available on the iPads with the 1:1 program, the students will be able to use it more and challenge themselves more. 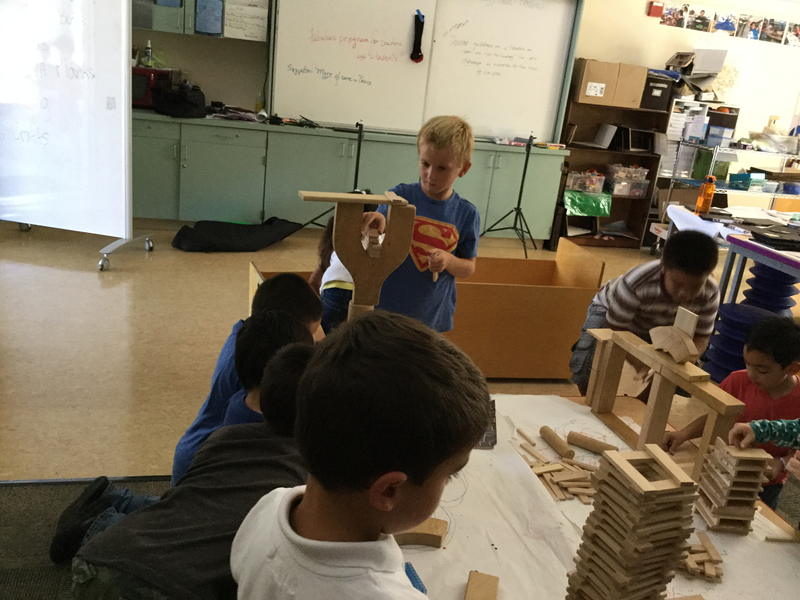 The second station was building with KEVA planks. 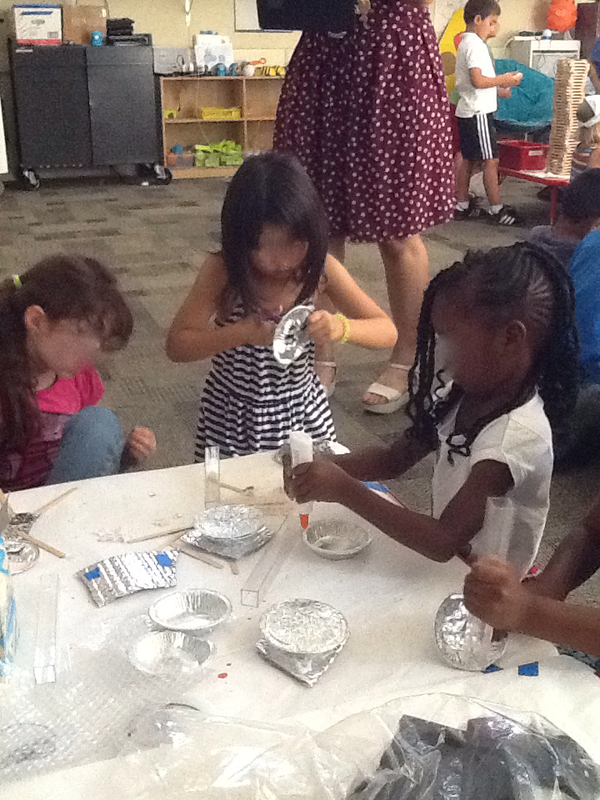 This is always a treat to watch in terms of the varied ideas, abilities and developmental stages of students. The structures certainly became way more sophisticated from a year back. 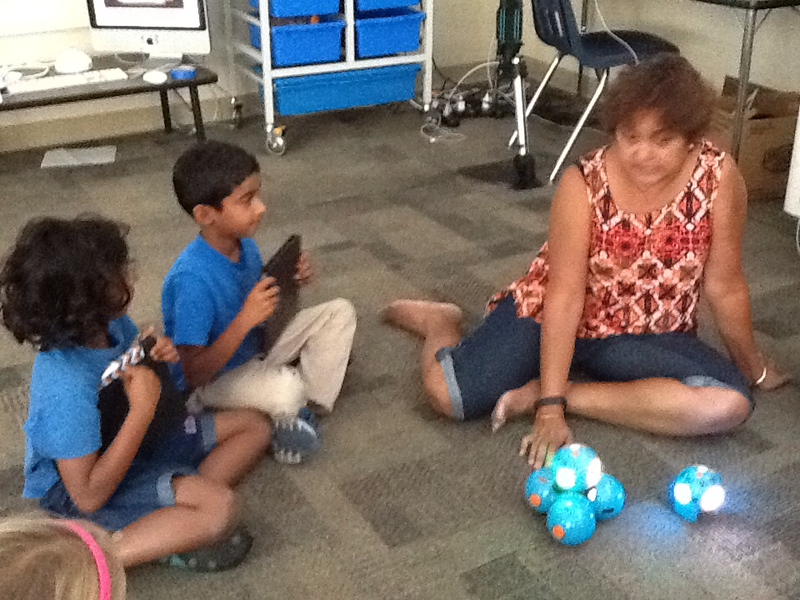 The third station was Dash and Dot robots. Last year the students had used the Bee-bots and Dots. 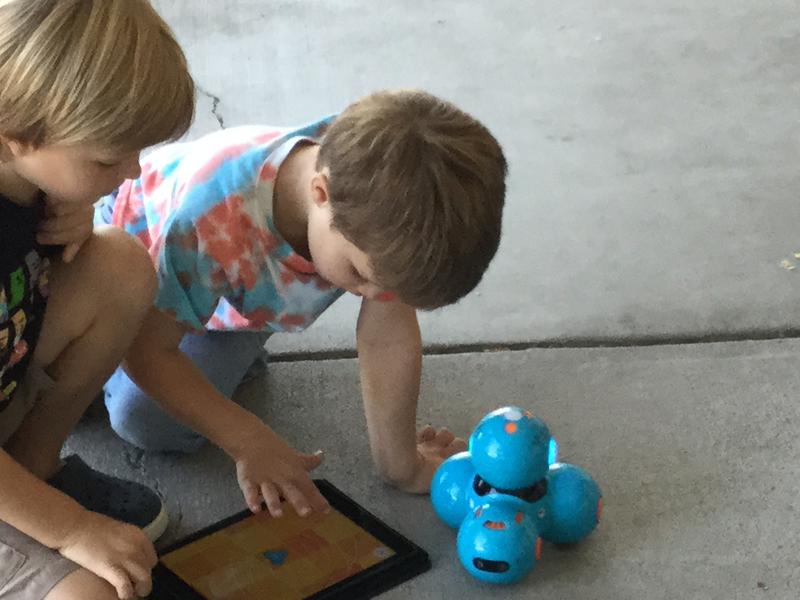 However, this year, with them being in first grade and coming in as they please during lunch, I realized that they need some explicit directions and guidelines for using Dash. So I first introduced the robots in terms of safety and preventative measures. Then on to the technical details. They were then free to explore their way with Blockly and the robots. Introductory explicit lesson with the robots. Working together is more productive! The last station was LEGO Story Starter last time. However, the LEGOs are housed in what I call as the backyard of the room. It has been unbelievably hot this week. 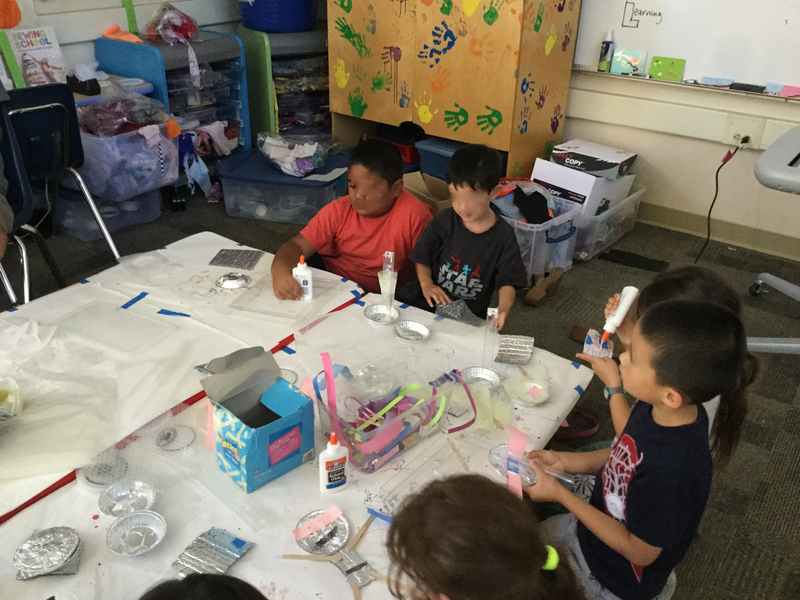 To avoid the little ones from going there, I put out a bunch of various materials we had – foil, plastic, straws, popsicle sticks, etc, glue and tape and let the students build objects of their choice. The creativity from each student was amazing! Time will tell the skills the students are able to master, those that stick with them and those things students are passionate about. In the meantime, they are increasing their knowledge base, getting exposed to many different ways of creating things and having a great deal of fun!